My weight has been going up since I met my boyfriend and I have not done anything about it in 7 years. I have tried before and just stopped and gave up. I went to Miami in August of 2011 and I was just unhappy. I could not understand that at the age of 25, I had let myself go. As soon as I got back from Miami, I started my diet. When I started my diet, I cut out a lot of carbs. I was eating lean meat, fruits and veggies. I stopped drinking sodas and fruit drinks. 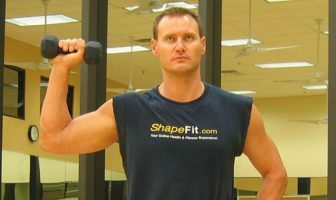 I started working out at home doing different workout videos and once I lost 40 pounds, I started going to the gym. I have 3 small kids (ages 3,8,10) and because they eat anything, it was hard on the weekends to stay on my diet. Since they did not understand what I was doing, it was hard trying to make two different dinners every night. It was around 3 months before I notice a change in my size. 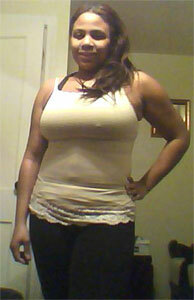 I am still maintaining my weight and I’m still working out everyday. 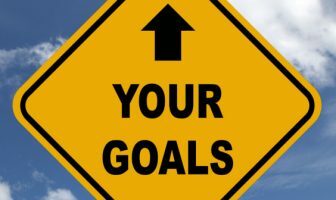 I love reading ShapeFit’s weight loss success stories from other people and seeing different recipes and workouts. Workout at least 3 times a week for 1 hour per workout. Try and have a support buddy. 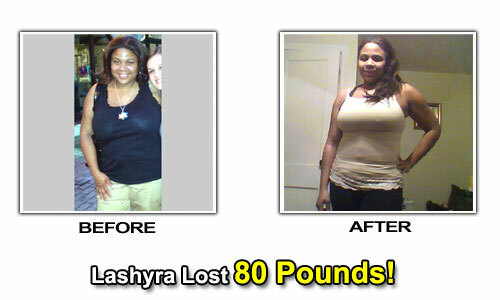 Lashyra’s Weight Loss Eating Plan! 1 bowl of Special K cereal, a piece of fruit and 1 cup of coffee. Salad with chicken, water and fruit. Chicken stir fry with lots of veggies, water and fruit. 250 crunches a day (all spread out) and 100 pushups a day. I run for 1 hour 4-5 times a week.